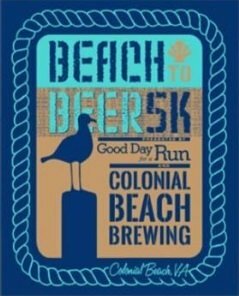 Good Day for a Run, LLC and Colonial Beach Brewing are teaming up for a Beach and Beer 5K on October 20th beginning at 9:00 a.m. Activities such as a gently used shoe drive and Pics with Coach fundraising for the Torrey Smith Rec Center will also be taking place. Explore the Shore 5K August 11, 2018. The 1st Annual one was held on September 3rd, 2011. The event began on Saturday, September 3, 2011 at 8:00am. The registration Fee was $25 for Adults and $20 for Kids. That fee included a Race T-Shirt as well as pre-race and post-race snacks. Prizes were awarded to the 1st Place Male, Female, Boy & Girl (15 and Under). Race packets were made available for pick-up on Fri., Sept. 2nd from 6 - 8pm at the Colonial Beach Volunteer Fire Department building at 312 Colonial Ave., and on Race Day starting at 6:45am. This 5K had runners going around "the Point" with great views of the Potomac River and Monroe Bay on Saturday, June 21, 2014 at 10:00am. The previous year's event was held Saturday, June 22nd, 2013. In partnership with the Organization for Autism Research. "Ready for a great race for a great charity? It is one of the best race courses around. The entire run is around the peninsula, overlooking scenic Monroe Bay and the mighty Potomac River. This event benefits the Organization for Autism Research." 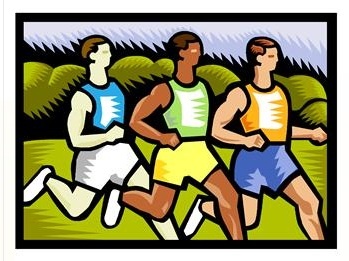 4th Annual Colonial Beach Volunteer Fire Department Run/Walk (8am) and 1-miler kids fun run (9:15am) on the Boardwalk. Registration began June 1st. 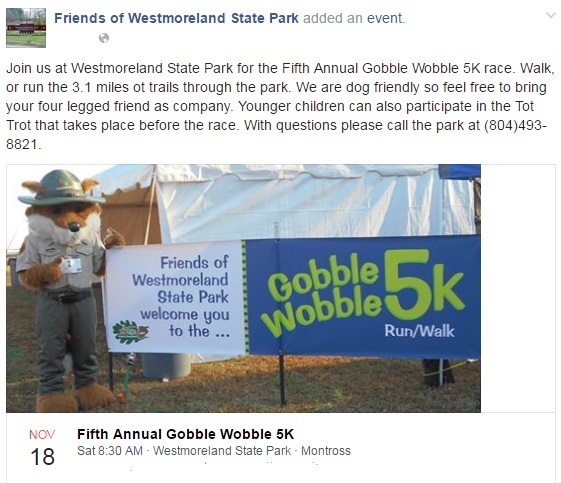 Fee is $25, and $15 for the kids fun run. Entry forms can be found at http://www.cbvfd.net. "Explore The Shore" Benefits the Wounded Warrior Project. Sunday, August 3rd, 2014. Offered a virtual run option for those who could not make it on race day. There were medals and an option to buy an event shirt as well. Helped raise funds to recoup what was lost on January 5th when the Old School and Town Landmark burned down. No entry fee, just a monetary donation that 100% benefit the school system and the children in it. Met on Town Hill and finished in the shadow of the beloved school.